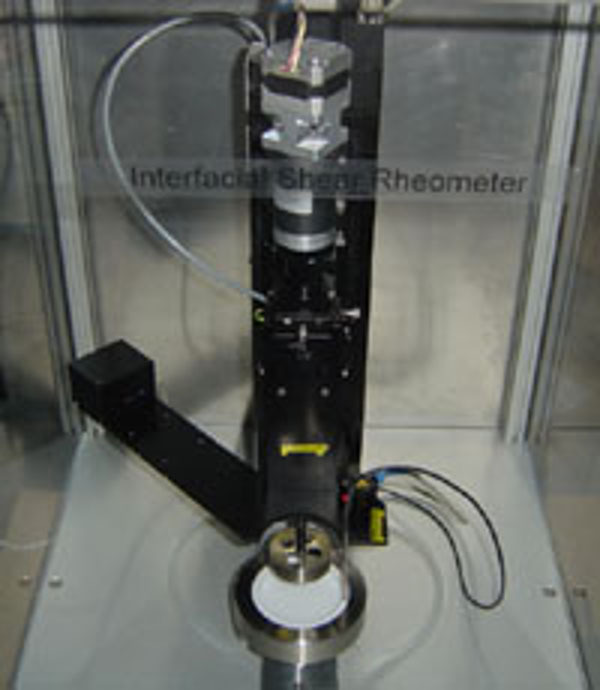 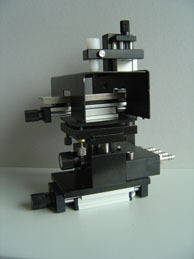 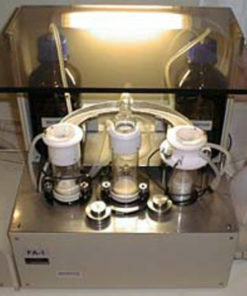 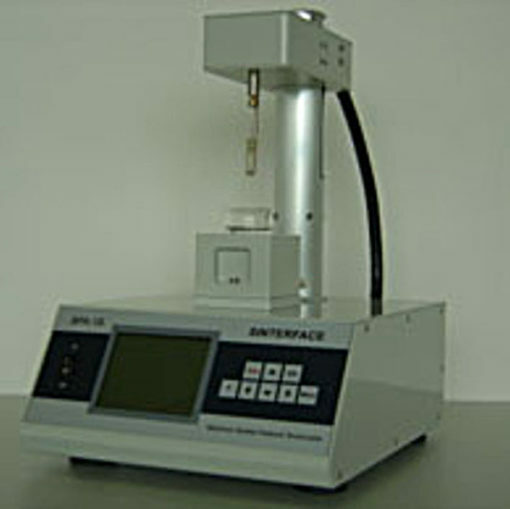 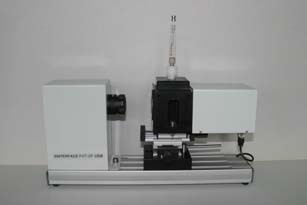 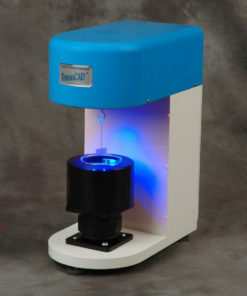 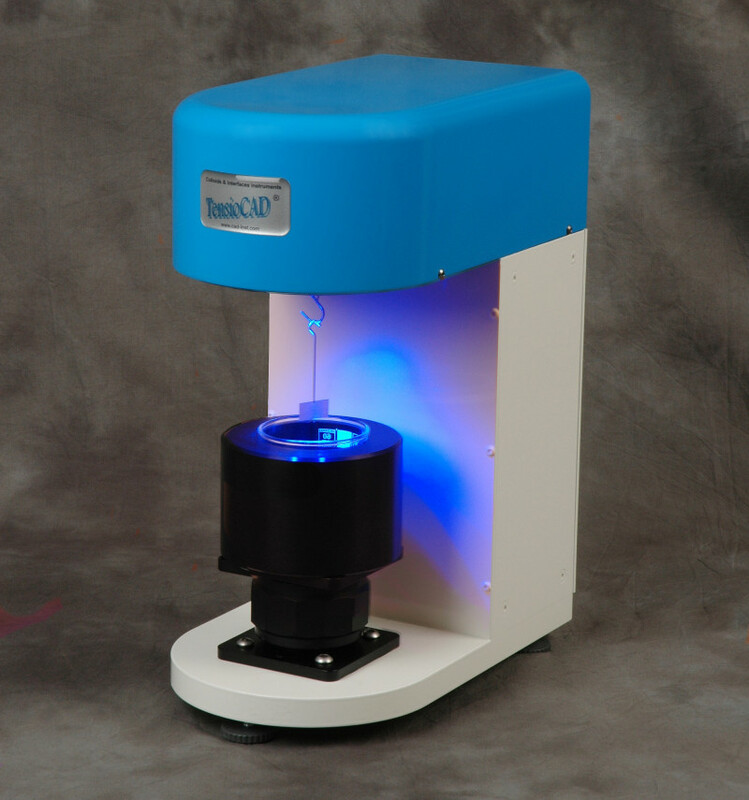 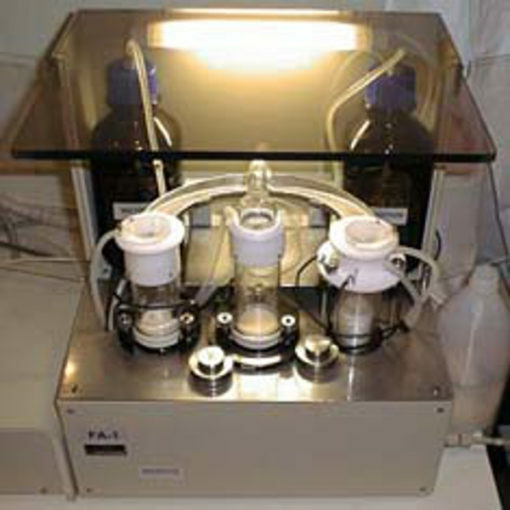 The Oscillating Drop Bubble Analyzer is designed as an additional module for the Drop Bubble Shape Analyzer PAT-1, using the video image acquisition for the determination of the drop size. 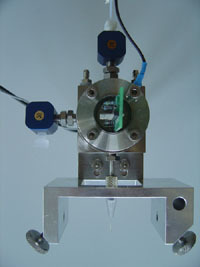 If drops have a spherical shape (very small and/or low density), the measurement of the pressure P together with the radius of curvature r yields the interfacial tension. 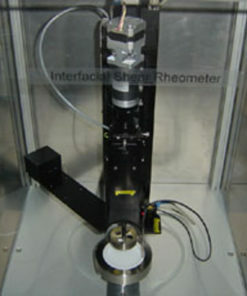 For measurements of interfacial tensions between a liquid and a fluid, the density difference is needed. 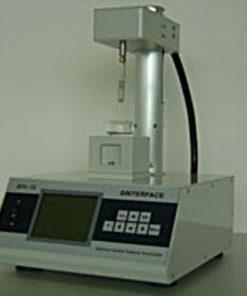 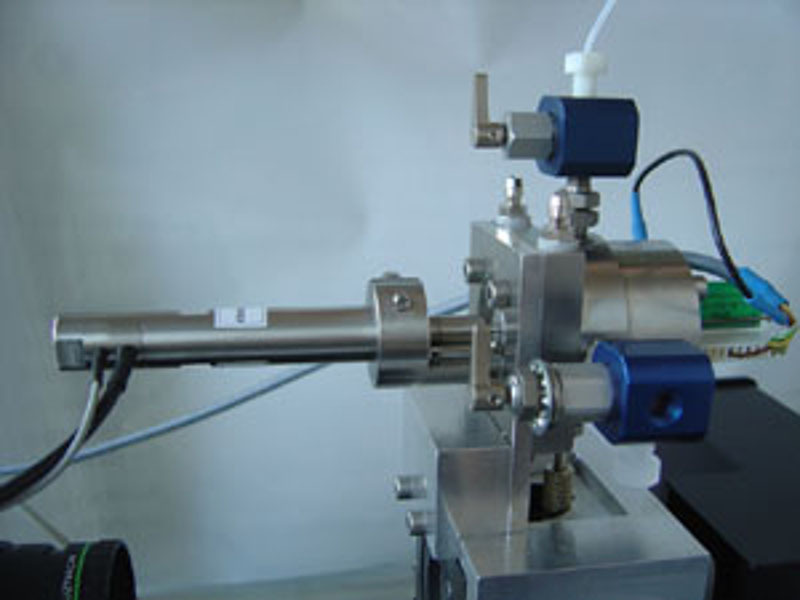 Calibration against the external and hydrostatic pressure is needed. 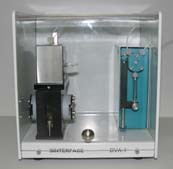 For drop/bubble oscillation experiments only pressure changes have to be measured along with the phase shift to the generated area oscillation.